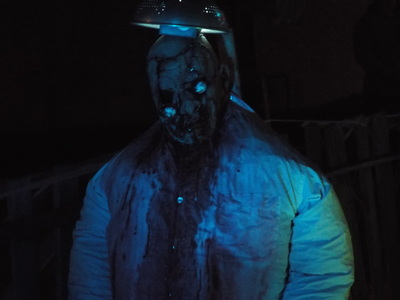 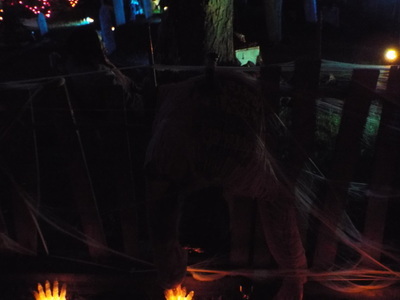 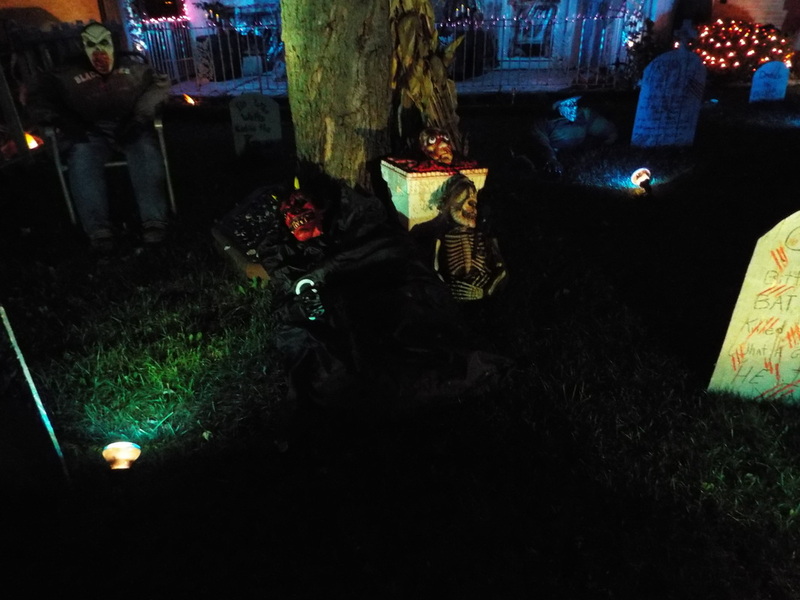 One of the things we Horror Tourers looks forward to each year is seeing the new haunts and displays that pop up. 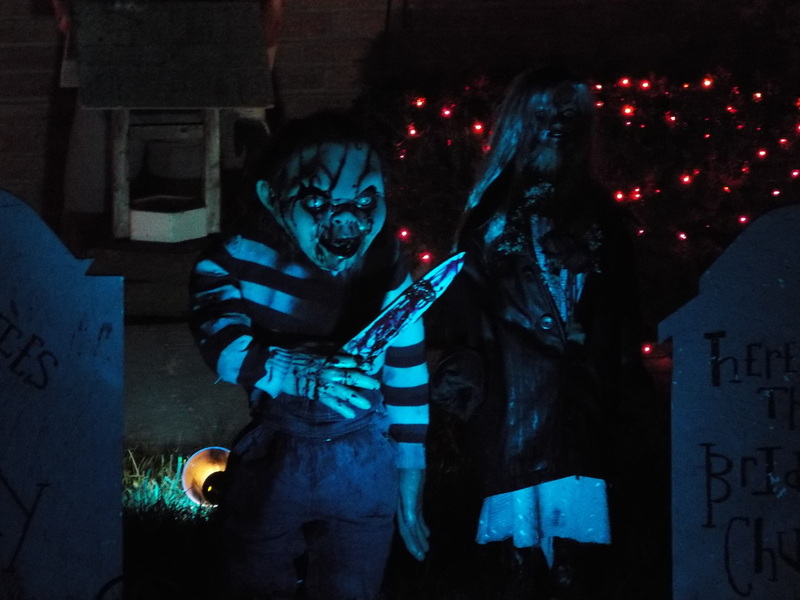 We're always happy when new haunters join the fold, and we're especially happy when new ones show up in the area around Horror Tourers Home base. 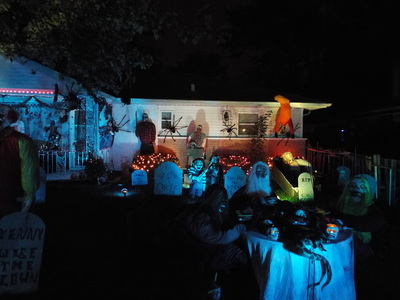 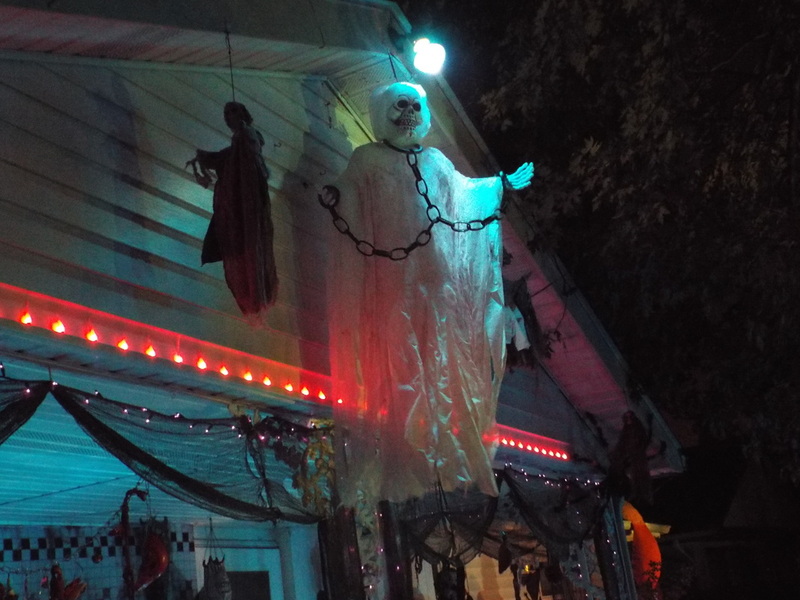 2013 was a banner year for brand new haunts and displays, and Shabbona Butcher Shop was one that cropped up with in our area, so we simply had to go see it. 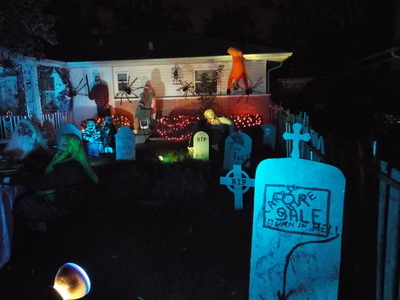 For a first year display, it was quite good, consisting of many static props on the lawn and on the front porch, coupled with some moody blue lighting. The full size figures included clowns, execution victims, devils, knife-wielding maniacs, and even a figure that looked suspiciously like Chucky lurking in the background. In addition, there were numerous homemade tombstones scattered around, some with humorous sayings on them. 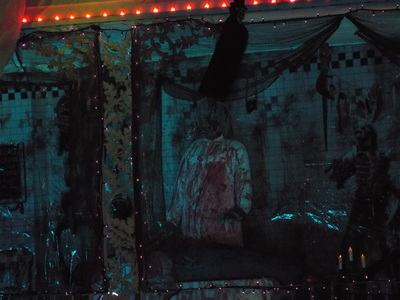 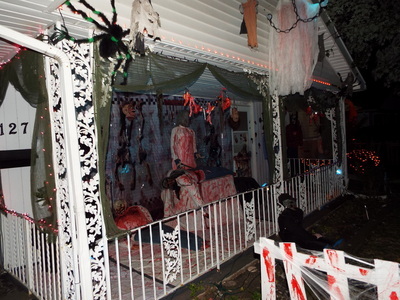 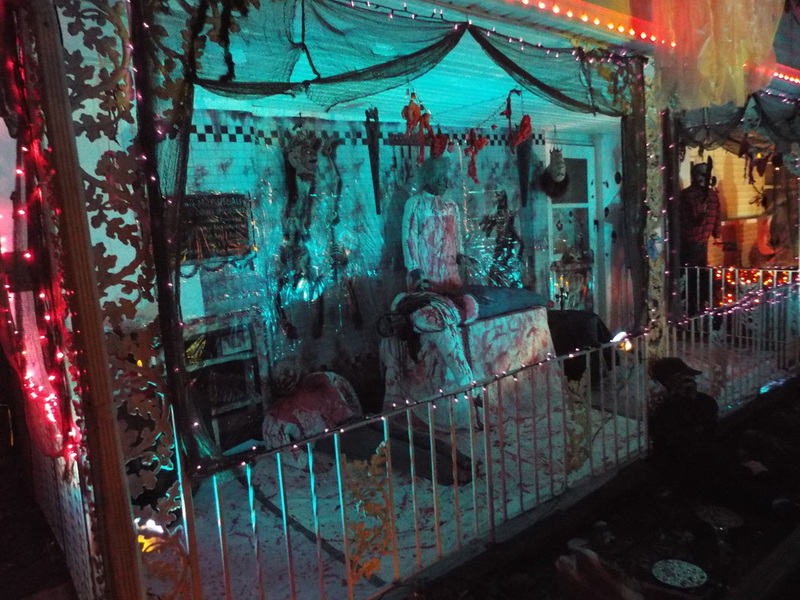 The front porch was covered with plastic and lots of (hopefully) fake blood, and included a figure of a doctor or scientist performing some kind of action on a hapless victim. Assorted ghouls were everywhere - hanging from the trees, hanging from the front of the house, and even sitting at a table as if discussing the day's events. 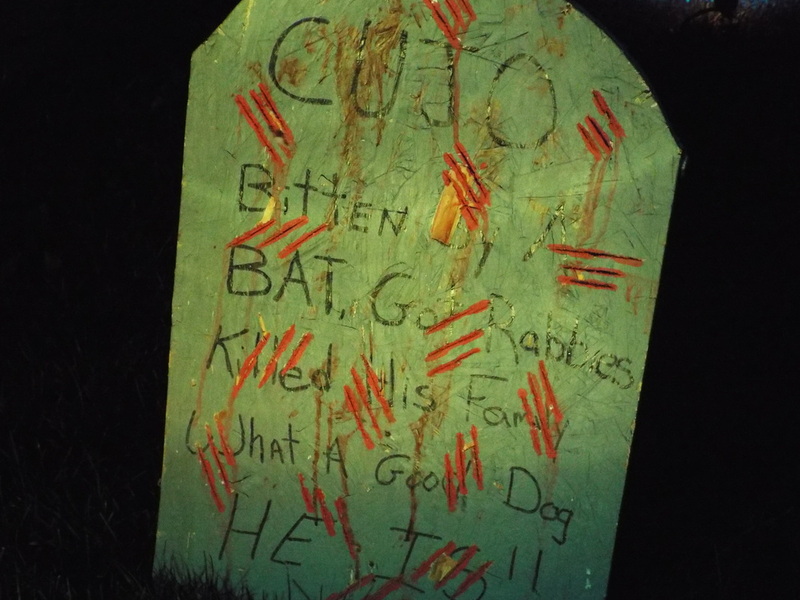 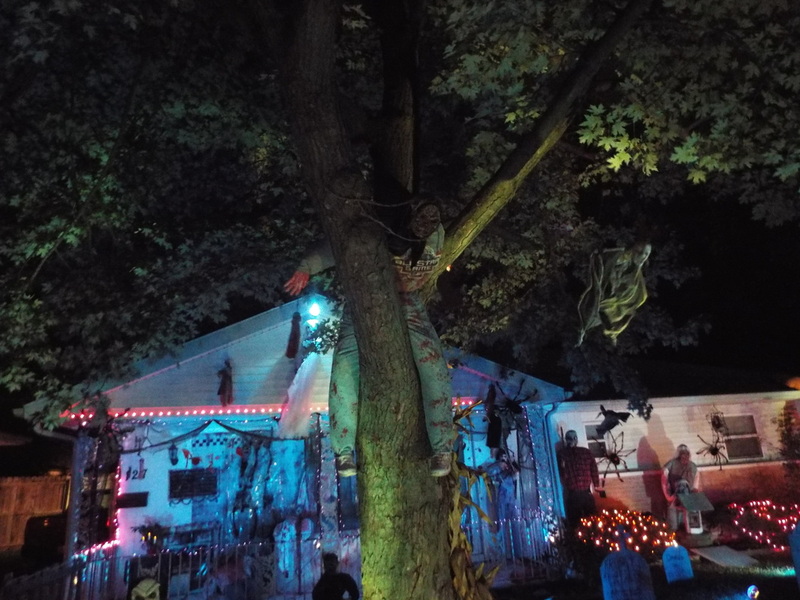 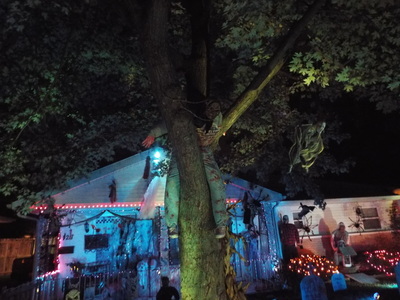 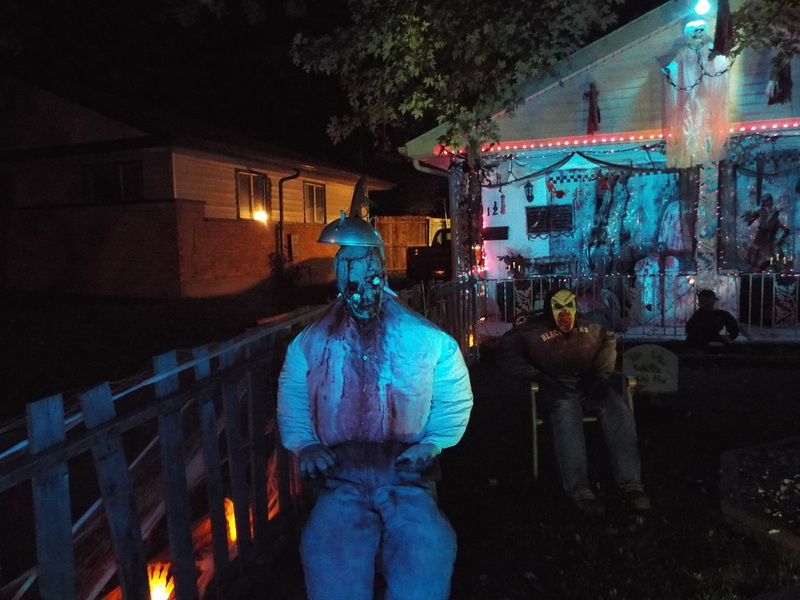 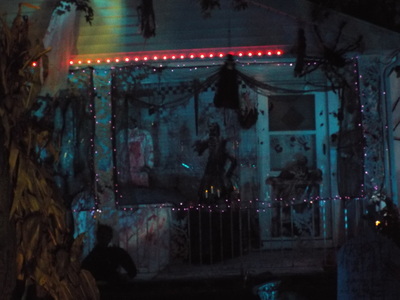 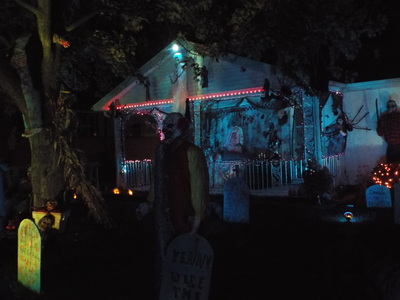 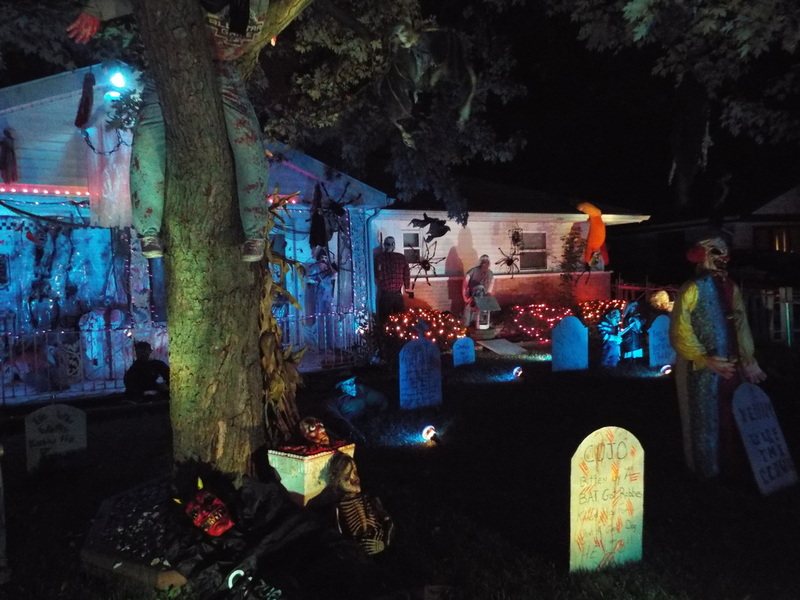 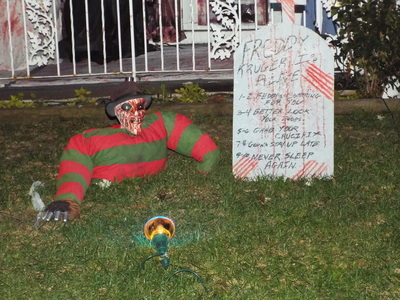 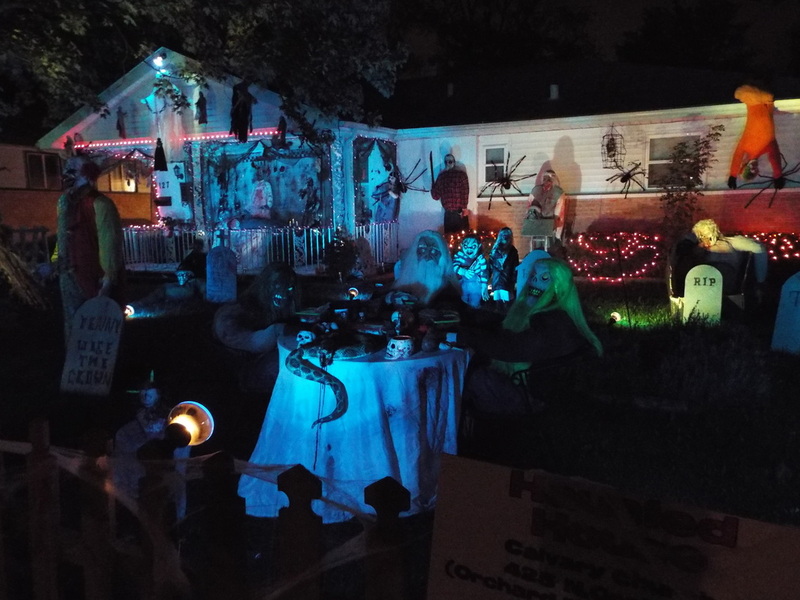 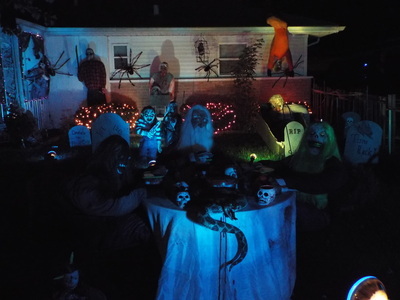 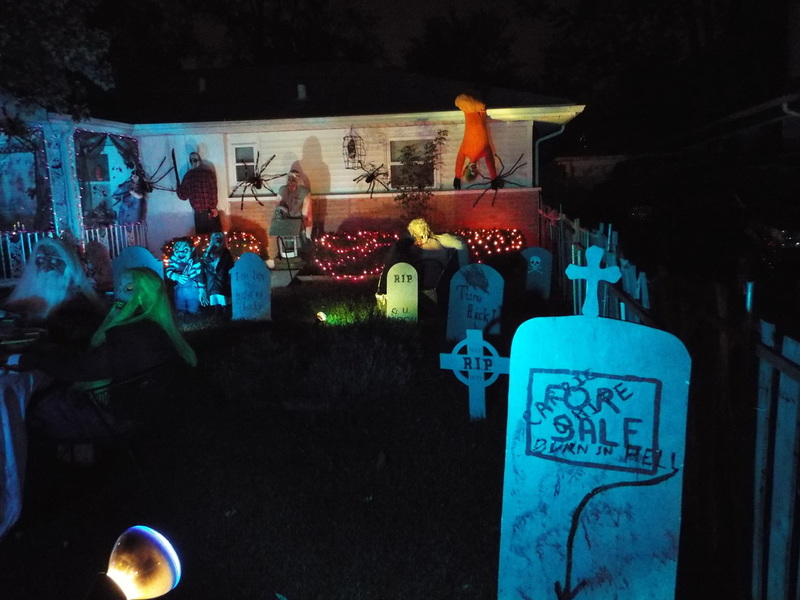 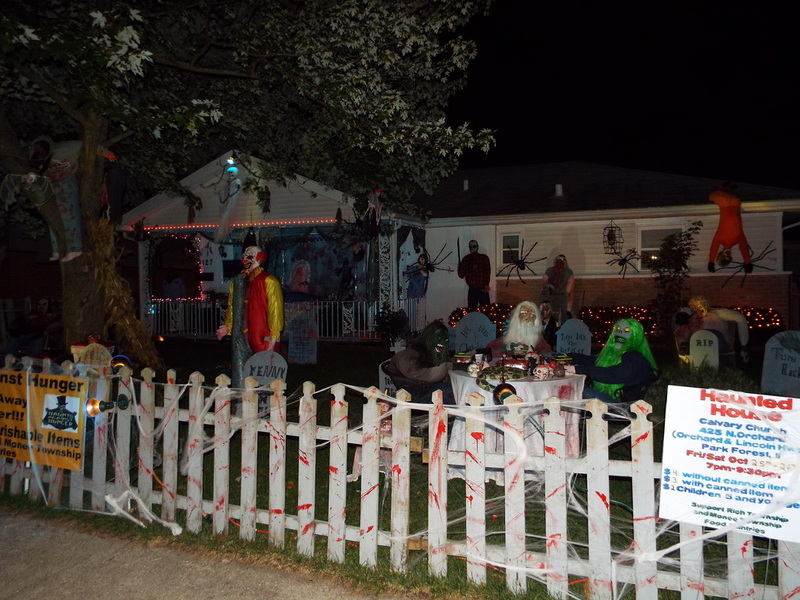 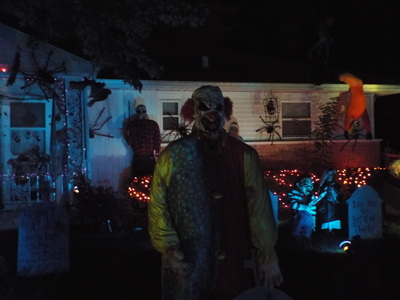 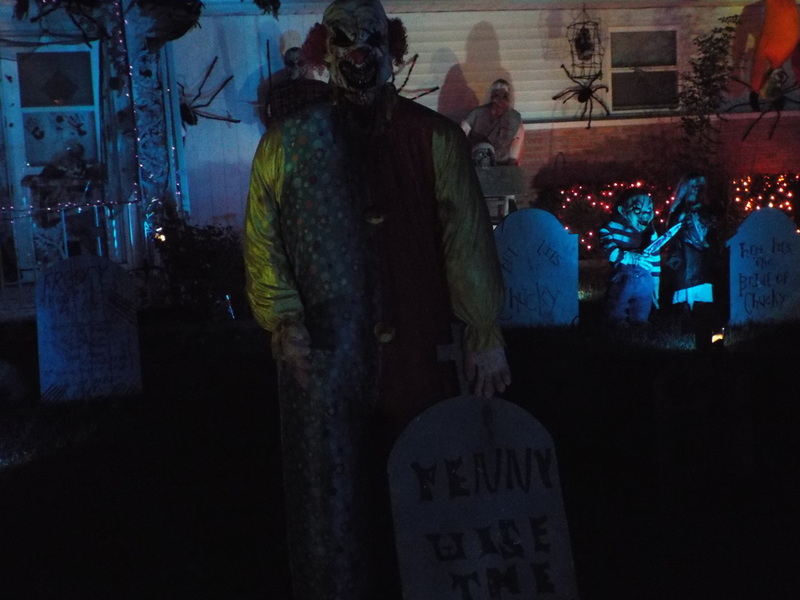 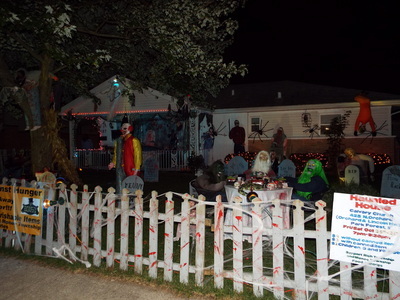 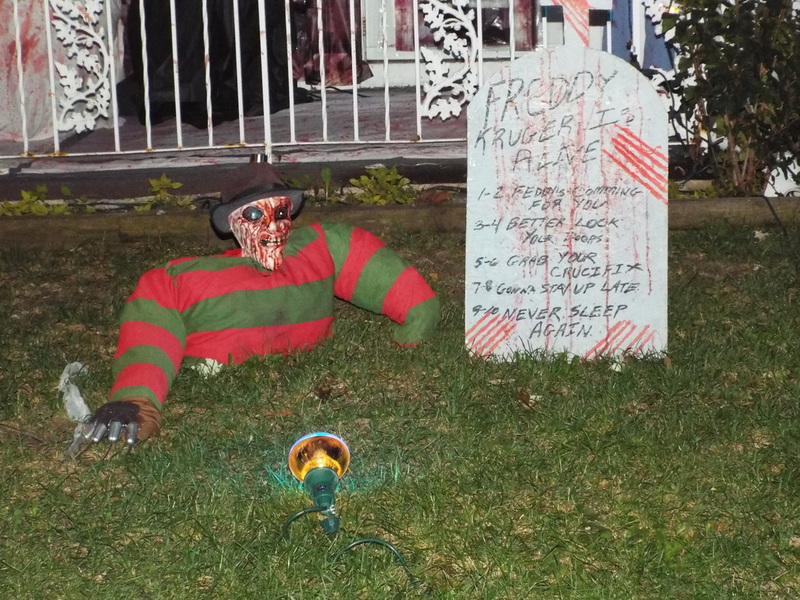 All in all, it was an effective mix of the macabre and humorous, which is something we often find in yard displays. 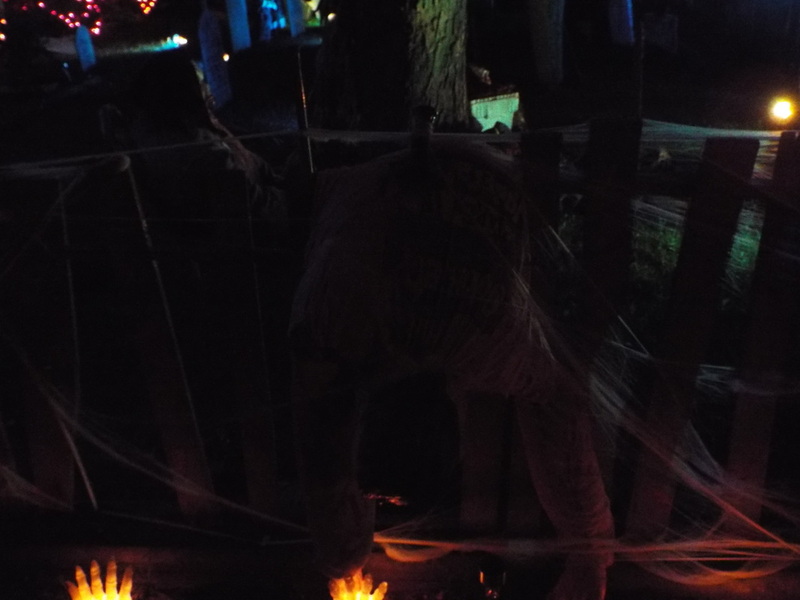 We enjoyed the creativity of the display, and we look forward to seeing it grow in the future.